BlackBerry Bold 9900 - where touch meets type? The promise by BlackBerry to make Bold 9900 the thinnest new smartphone stands pretty solid. The keypad along with fast processor, BlackBerry 7 OS and my favorite touchscreen really makes it worth a phone to buy. Blackberry promises “Liquid Graphics” which really helps to feel the touch feature on BlackBerry Bold 9900 like never before. Swiping, pinching and zooming feel pretty cool with a fast 1.2 GHz processor and a 24-bit high-resolution display. Most of us grown up in an age where BlackBerry phones were always considered to me one of the most reliable phones. This is well proved with Blackberry Bold 9900. “It comes up with faster loading, faster scrolling & faster zooming. 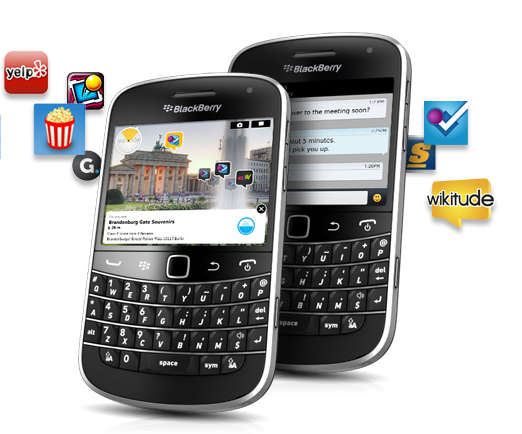 It's the fastest BlackBerry experience to date” reviewed Blacberry Bold 9900 by Priya Mehta at Indiaplaza.com. Wi-Fi connectivity also gives you one more reason to start playing with it. BlackBerry 7 OS clubbed with BlackBerry App World is promising to transform your BlackBerry experience with smartphone apps with many connectivity and entertainment apps. I have BlackBerry Bold 9900 also a great looking phone that feels great in the hand too.